42.13 million Americans went hiking in 2016 alone, proving that recreational activities like hiking are drawing millions of Americans into the outdoors. The fact is, spending time outdoors is inspiring, and is a great way to get away from the usual demands of daily life. Hiking provides you with an opportunity to explore nature and have an adventure of a lifetime. 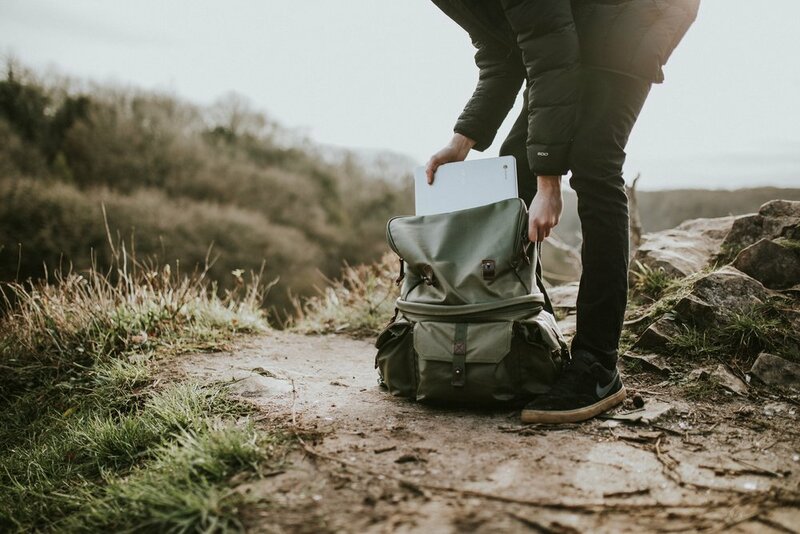 If you’re planning a hiking trip, it’s advisable to prepare early and know what to pack to ensure a successful hiking expedition. Here are some essentials. Hiking can be anything from taking long walks along park trails to climbing mountains, walking through challenging terrain and boulder jumping. While spending time outdoors has some amazing benefits, the last thing you want to happen on a hike is getting stuck at any point because you chose the wrong footwear or getting drenched because you did not pack your plastic poncho. Buying a trekking pole as support on your trail or to help pitch a tent is helpful. You will also want to wear the right hiking shoes, wear comfortable insulated clothing, pack a headlamp with backup batteries and get some sunglasses to protect your eyes. Lito Tejada-Flores, a renown skiing pro, mentions that while memory recreates experiences, every hiking trip you take is pretty unique in its own way. If you take your backpack and hike around the world, then you already know the importance of a navigation system. However, if you rarely hike, or hike the same trail every year, then you tend to overlook this essential. Ensure you get a topographical map, a functioning compass and some basic navigation skill knowledge. Back your compass and map with a quality GPS tracking system. Unlike a home environment where you can control everything, hiking comes with a whole new set of challenges. Carry at least SPF 15 sunscreen protection with UVA and UVB ray blocking properties, insect repellants, pen and paper, antibacterial ointment and antiseptic wipes. Your first aid kit should include gauze pads, pen medication, adhesive bandages, and blister treatment. Depending on your medical history, you can customize your medical kit further to cater for specific needs. Having the right supplies with you, can be a lifesaver in case of an emergency. A hiker’s best guide is common sense. If you get hurt, encounter any unforeseen dangers or there is a looming storm, then you should turn back and go home. Your safety should always be a priority. Getting stuck in poor weather without sufficient food, water, illumination, insulation and a navigation system are things that can be avoided. Pack these and other essentials you need for your hike and enjoy the outdoor experience.